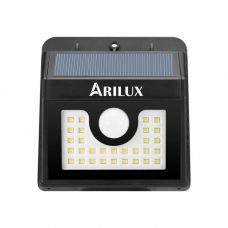 Emergency Outdoor compact 1.3W 8 LED Solar Powered Motion Sensor Wall Light with an extended Lithium battery is a high-quality featured product in ARILUX Brand family. 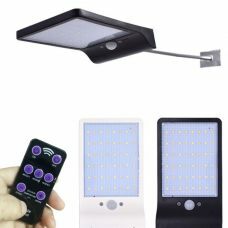 The lamp operates in various lighting modes including Full Brightness floodlight mode and delivers reliable lighting and is ideal for maintaining casual, emergency or security light around a home, garden, backyard, garage, patio, balcony, veranda etc. 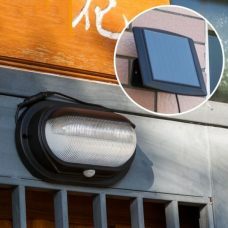 Emergency outdoor compact 1.3W 8 LED Solar Powered Motion Sensor Wall Light with a Super capacity Lithium battery and three lighting modes is an advanced product of ARILUX® family with multiple features. 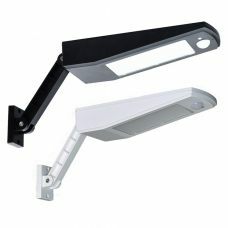 The lamp is suitable for various casual, emergency and security purposes. It is fully operated by solar energy with efficient Solar Panel and powerful rechargeable Lithium battery. The product designed for outdoor use with IP65 protection rating and does not require any additional electric wires or other sources of energy that. The sensor wall light has built-in automatic daylight sensor and also Smart Motion Sensor for automatic illumination for a specific area. The wall lamp has three lighting settings including Full Brightness On and energy-saving DIM mode that helps to tailor its functionality for particular reason and environment. 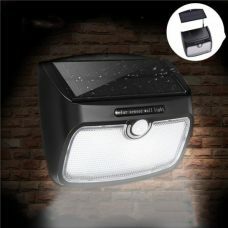 - Long lasting lighting performance with extended Powerful rechargeable Lithium battery with 2200mAh capacity. 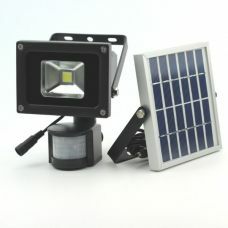 - Three lighting modes including Full Brightness On and energy-saving weak light DIM mode. 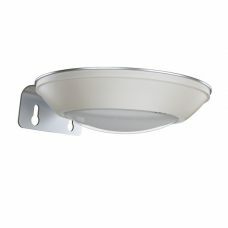 Automatically turns lights Off during the day and will only turn On when PIR Sensor is activated by motion at night. The light will turn off after 15 seconds if no more movement is present. However, the light will remain On if people will stay in the range area. Automatically turns lights Off during the day and lights up at night in DIM mode. During the night, when the lamp senses movement the light will turn On to full brightness mode. The light will turn off after 15 seconds if no more movement is present. However, the light will remain On if people will stay in the range area. Automatically turns lights Off during the day and lights up at night in full brightness mode. The lighting runs for 4-6 hours after fully charging for 7-8 hours under the direct sun. 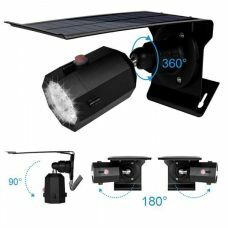 Enough brightness, reliable, simple installation, you can move it around.